Ukrainian trickled pastries soup recipe is easy. You just cook regular soup. I made a chicken soup. I made a chicken broth, then added few potatoes, one carrot, one onion, some greens and made my trickled pastries. 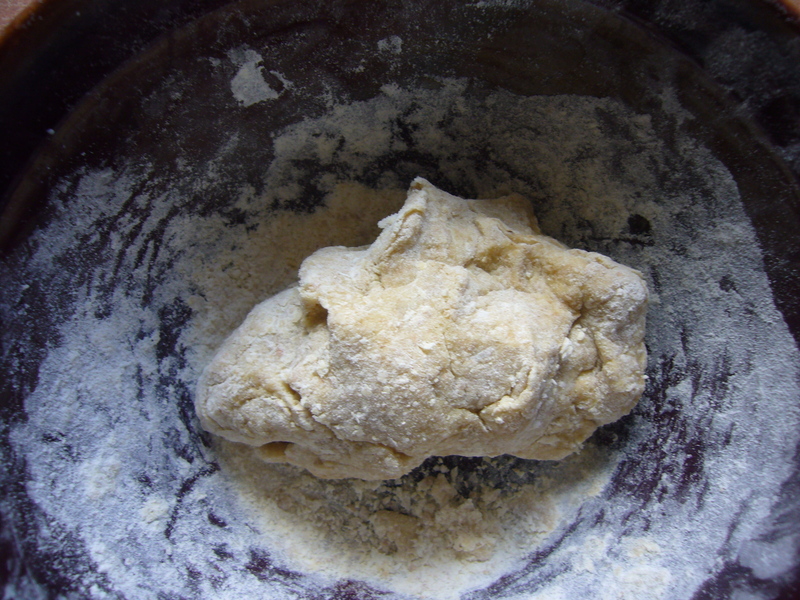 To make them I mixed one egg with enough four to make a thick dough. Then, when your soup is boiling, you pick little pieces of pastry and throw them into your soup. 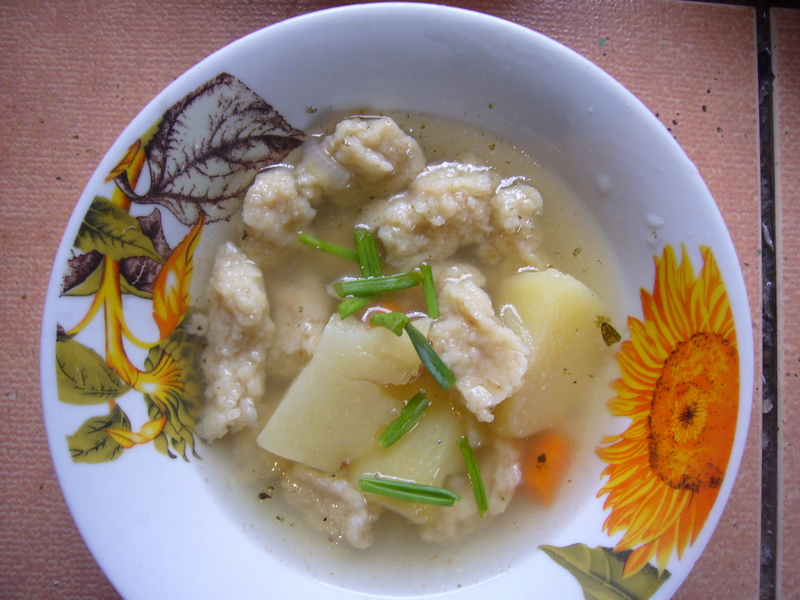 This entry was posted in Easy Recipes and tagged chicken soup, cooking, cooking tips, easy recipe, easy soup recipe, eggs, flour, food, healthy recipe, housekeeping, lunch recipe, soup recipe, tips for moms, Ukrainian trickeled pastries soup. Bookmark the permalink. Mom… I wanna be able yoo cook something.. But it’s very hard for me..
My mom always put these pastries into her chicken soup, but I never knew what to call them. Usually she’d roll them out and cut them into big squares, like huge thick noodles. They were so delicious. I’ll have to try it this way; it looks easier and just as yummy!